I love that he begins the book by examining the relationship between husband and wife. Change needs to between that relationship first in the home. He explains the curse found in Genesis when Adam & Eve sinned. He shows us that the same curse continues to be the thing battle with in our home. Curse filled homes leave everyone involved feeling tired. I found that I could identify with those feelings in my own life as I struggle with being the “perfect mother” and “perfect wife”. As wives, always trying to “cover up” or hide our flaws, or even our husband’s/children’s flaws is a hard job and one we are not meant to do. We miss out on the relationships and focus on the performance and what we can control. Instead, we are to view our loved ones through the lens of grace. VanVonderen points out that children have three basic needs: to know they are loved with no strings attached, to know that they are valuable and capable, and to know that they are not alone to face life. I had not thought about those three things as being essential for my relationship with my son. I felt that the Part III of the book was a little lacking. VanVonderen did a great job at describing the curse-full home and helping me realize the patterns that I have in my own home/life in Part I & Part II. I would have liked to see him expound upon the contrasts between the Curse-full home and the Grace-full home. Although short, Part III definitely gave me things to think about and apply in my home. VanVonderen says, “In curse-full relationships, rules and performance take the place of people and needs. In a family that seeks to be a place of grace, relationships are there to make sense of the rules. A grace-full family is the place where people can do the job of learning to live without the fear of losing love and acceptance if the job gets too messy.” This is the heart of the message in this book. 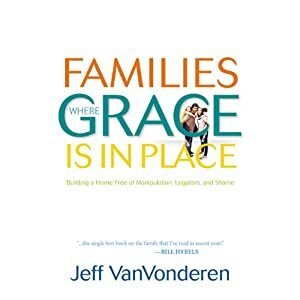 I would recommend this book to any Christian husband or wife that was raised in a performance based home to read this book and take to heart what Jeff VanVonderen says. He is truly a gifted communicator and can encourage our TIRED hearts and direct them toward the one who can fix and change our homes. I truly believe, with VanVonderen, that healthy relationships between husband and wife, between parents and children, are possible only when God’s grace is the lens in which we view the processes of marriage and parenting. Romans 5:8 says, “..but God shows his love for us that while we were still sinners, Christ died for us.” God didn’t wait for us to be worthy of his grace and love, he chose to give it to us while we were still sinners. This is the reason that we can extend our love to our husbands, wives, or children even when they mess up. Thank you Jesus. 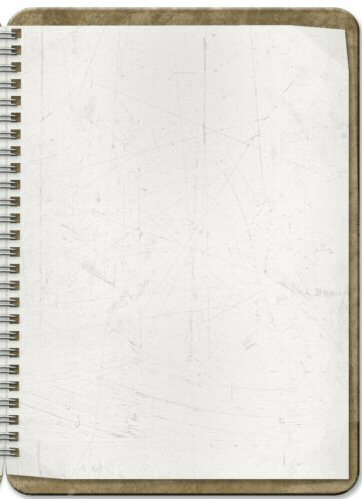 I have never liked a blank page. I always find it hard to begin writing without an outline or some sort of beginning point. Needless to say, the idea of a blog is not on my list of things that “I can’t wait” to do. Despite that fact, I am trusting that God will use this blog as encouragement for moms who may feel worn out with trying to be “perfect” and a way to share what God has done in my life and is currently doing as I journey through motherhood. My plan is to focus on book reviews, organization tips, and a little theology to help/inform busy Christian Moms. So, forgive the bad grammar, poor spelling, the typos, and rambling as I prayerfully embrace this new endeavor that is definitely out of my comfort zone.